So, you have created your Wizu account and created your Salesforce account. Now all you need to do is connect the two together and you are ready to take on the world. To do this simply login to Wizu and go to your account page. Click on the + Salesforce Integration button under ‘Your Integrations’. 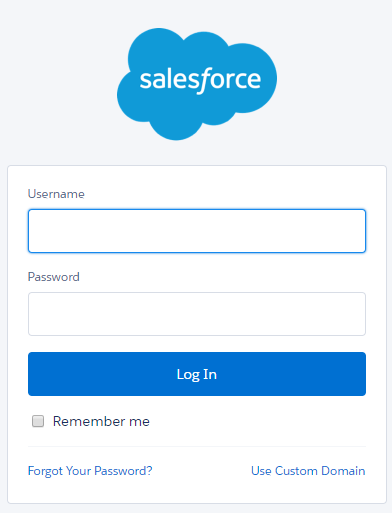 Ensure you are logged out of Salesforce and then give your integration a name. Then simply save and click the ‘Connect to Salesforce’ button. 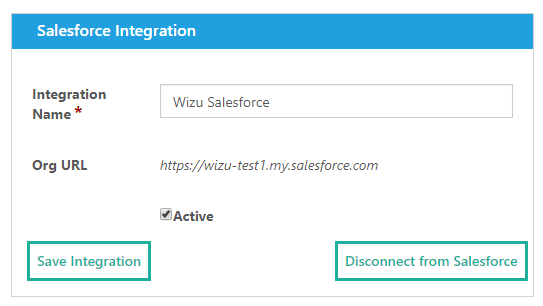 Login to the Salesforce account you want to connect to Wizu and the accounts will now be connected. You may need to verify your account to ensure your Salesforce account is secure. Once connected you will see that the Org URL has now updated and the ‘Connect to Salesforce’ button has changed to ‘Disconnect from Salesforce’. That’s it! You are done. Easier than expected? You can disconnect your Salesforce account at any point and can also add multiple accounts if required. This can be especially useful if you set up your initial configuration to test against a Salesforce Sandbox Org and now want to switch to your production org. To disconnect simply go to ‘Your Account’ and click ‘Disconnect from Salesforce’ on the relevant integration. You can also add new accounts by clicking the + Salesforce Integration button under the list of current integrations.